Research: NOAC or Warfarin for Valvular A-Fib? 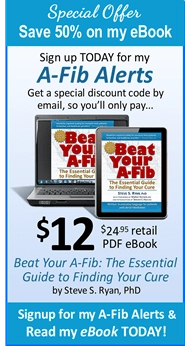 NOAC or Warfarin for Valvular A-Fib? 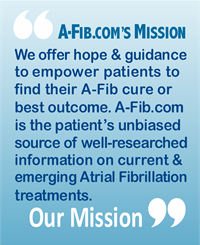 Patients with ‘Valvular Atrial Fibrillation’ are often restricted from most A-Fib clinical studies and research. In particular, for NOAC trials, people with Valvular A-Fib have generally been excluded because they may have a higher rate of forming clots (e.g. : left atrial clots). 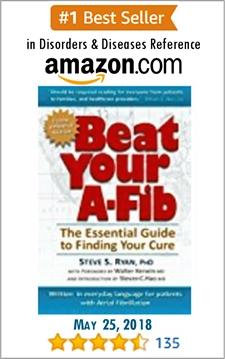 “Valvular Atrial Fibrillation” refers to those A-Fib patients with artificial heart valves or mitral stenosis. 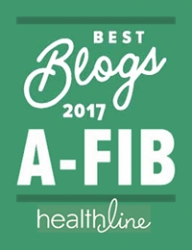 Like most A-Fib patients, Valvular A-Fib patients with bioprosthetic or mechanical valves have to be on an anticoagulant which up to now was restricted to warfarin. So, are the new NOACs an option? Bioprosthetic valves are non-synthetic (usually porcine) devices used to replace a defective heart valve. Compared to mechanical valves, bioprosthetic valves are less likely to cause clots, but are more prone to structural degeneration (35% fail within 15 years). A 2017 study showed that the Novel Oral Anticoagulant (NOAC) edoxaban (brand name: Savaysa) was safer than warfarin in preventing an A-Fib stroke in people with bioprosthetic heart valves. Edoxaban works by inhibiting factor Xa in the coagulation process. The lower dose (30 mg) was associated with a reduced rate of major bleeding, but not the higher dose (60 mg). Compared to warfarin, edoxaban was associated with lower annual stroke rates, systemic embolic events, major bleeds, and deaths annually. “Our analysis suggests that edoxaban appears to be a reasonable alternative to warfarin in patients with Afib and remote bioprosthetic valve implantation,” according to Dr. Robert P. Giugliano of Brigham and Women’s Hospital in Boston, MA. For the first time, research indicates that a NOAC (edoxaban) can be used for Valvular A-Fib to prevent an A-Fib stroke―but only in the case of bioprosthetic (porcine) valves. The NOAC, Edoxaban (Savaysa), was safer than warfarin for A-Fib patients with bioprosthetic valves. With regards to mechanical valves, the authors cited a study in which dabigatran (Pradaxa) fared poorly in mechanical valves. What About Other Factor Xa NOACs? What about the other ‘factor Xa inhibitors’ such as Xarelto and Eliquis? Can they be used like edoxaban? Currently there is little clinical data on this subject. But since all three are factor Xa inhibitors, most likely they will be proven to be effective in A-Fib patients with bioprosthetic valves. 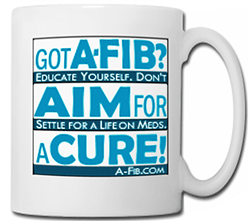 Do you have Valvular A-Fib and a bioprosthetic valve? 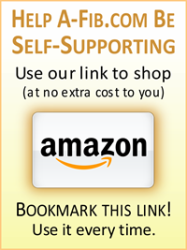 Are you on warfarin? If being on warfarin is difficult for you, you now have a choice of anticoagulant. Ask your doctor about switching to the NOAC, edoxaban.